There’s hell of a lot of hype about the Squirmy worms on social media nowadays, with mixed views on the material and the flies tied with it for that matter… It’s a very controversial pattern to say the least and divides anglers for many reasons. 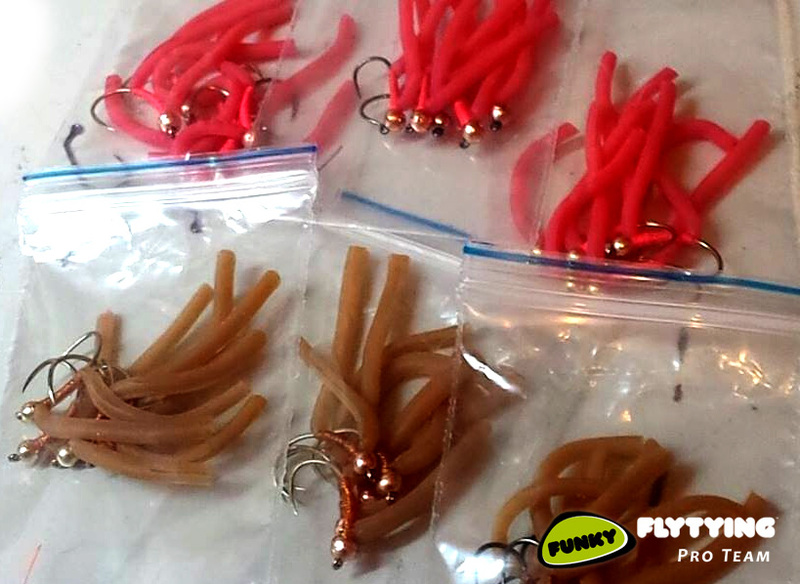 In my eyes, the squirmy is perfectly legal and just another material we use to help catch us fish. There’s no difference between using a squirmy worm to an apps blood worm, both are tied with rubber, and the apps has 3 times as many ‘legs’ usually. It’s also fully legal within the FIPS-Mouche (World fly fishing) rules. This, a silicon based ‘sperm’ – designed for reasons unknown, and for that matter I’m not sure that I really want to know… But what I do know is that like the squirmys, these spermy worms catch fish. And lots of them. 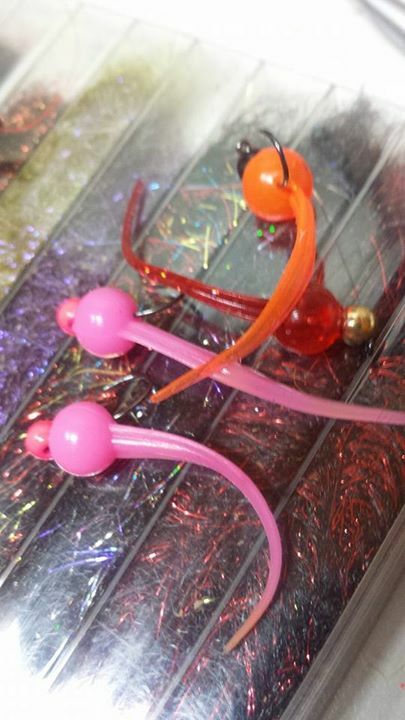 As shown above, I’ve secured the spermy worms to a jig hook with appropriate sized beads to make the most of the extremely mobile tail. The colours are super intense, too and are perfect for grayling – Remove the tail, and you have the ideal ‘Egg fly’. Here’s my mate Luke Thomas using a spermy worm at Cwm Hedd Lakes.